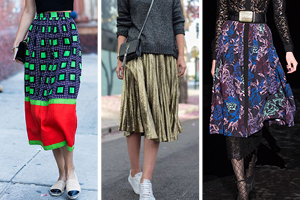 Dolce & Gabbana, the Italian brand, is in the soup once again. This time, it is for selling slave sandals. 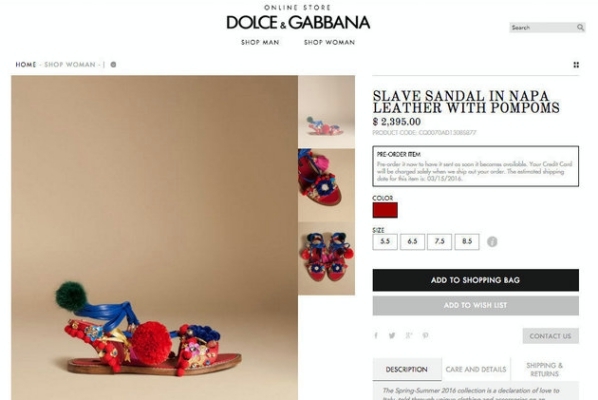 Time and again, the fashion brand has been labelled as racist for its insensitive depiction of cultural diversity from across the world like exploitative earrings portraying African women from slave era, Asian catwalk models, representing ‘tourists who have just arrived in Italy’ in their SS16 catwalk show.
.@dolcegabbana Just wondering what possessed you to name your latest summer sandals “The Slave Sandal”? Wow. After witnessing the public angst on social media platforms, however, Dolce & Gabbana amended its mistake and changed the description from Slave Sandal in Napa Leather with Pompoms to Decorative Flat Sandal. Evidently, the term ‘slave’ was once considered as a common name for lace-up sandals, but it later got replaced by word ‘gladiator’ in fashion circles. 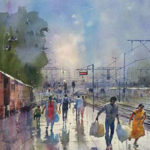 SILHOUETTE INSPIRATION - A/W 16-17 - "FLIRT WITH THE SKIRT SUIT"
Indian Railways Through The Eyes of an Artist!